A veteran broadcast-journalist, Shelagh Rogers is the host and a producer of The Next Chapter, the award-winning CBC Radio program devoted to writing in Canada. In 2011, she received an Order of Canada for promoting Canadian culture and for advocacy in mental health, truth and reconciliation, and adult literacy. That same year, she was named an Honorary Witness for the Truth and Reconciliation Commission. She is the co-editor of Speaking My Truth: Reflections on Reconciliation and Residential School; Reconciliation and the Way Forward, and Speaking My Truth: The Journey to Reconciliation launched in Sioux Lookout this summer. She has received the Achievement in the Aboriginal Community Award by Native Counselling Services of Alberta. She holds honorary doctorates from six universities, and is the inaugural winner of the Margaret Trudeau Award for Mental Health Advocacy. Shelagh is the 11th Chancellor of the University of Victoria. 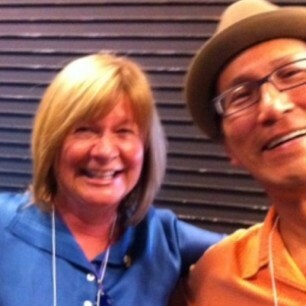 Her greatest honour comes from Richard Wagamese who called Shelagh his “Chosen Sister”. “He had my back” says Rogers. She is deeply honoured to be celebrating his writing and his life.